The easy way to broadcast your chess tournament live! 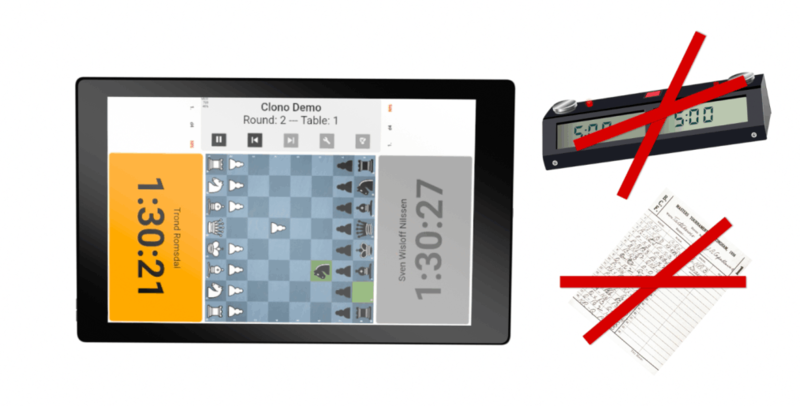 Clono is a tablet-based chess clock and electronic scoresheet that replaces the traditional chess clock and paper-based scoresheets. The game info is sent to Clono Server and broadcasted live on the internet. Clono is a system for broadcasting chess tournaments live in an easy, affordable and secure way. It is easy to use and set up, and there is no need for electronic chess boards, special clocks, cabling or an on-site engineer. In Clono Admin Panel, start with creating your tournament with tournament info, time control, groups and players. Or, simply import your tournament xml-file directly from TournamentService. 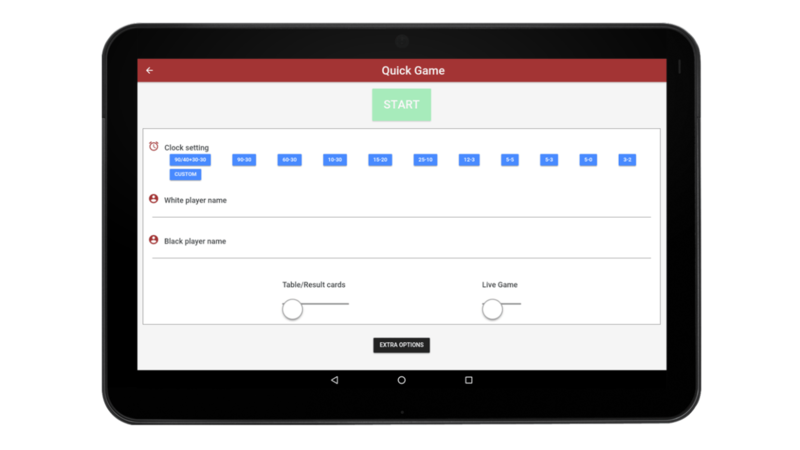 Then, connect and assign a tablet to each table in the tournament. After pairing, the table cards are pushed to the tablets and displayed on each board. The tablets run Clono Clock and Notation. It works as a regular chess clock and an electronic score sheet. Clono Clock and Notation sends the game data to the server during play. 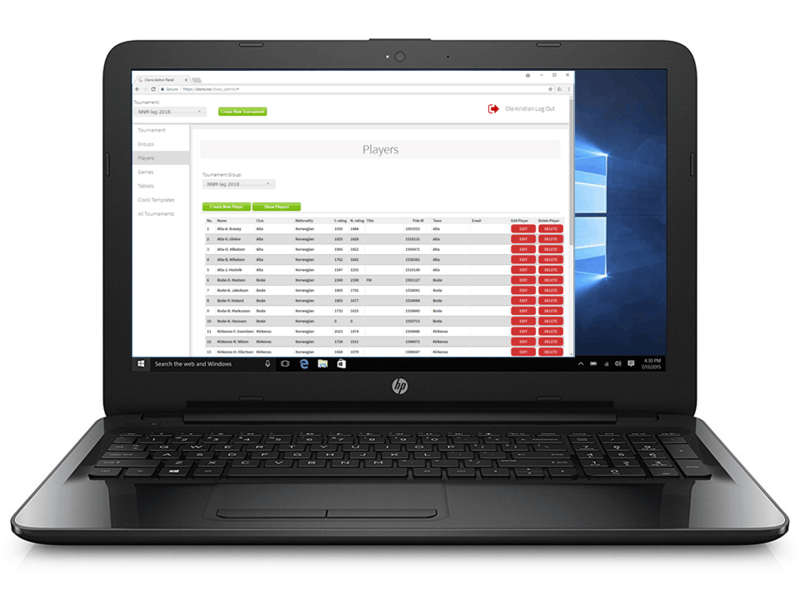 When the game is finished, the result is put back to TournamentService or other tournament management software. 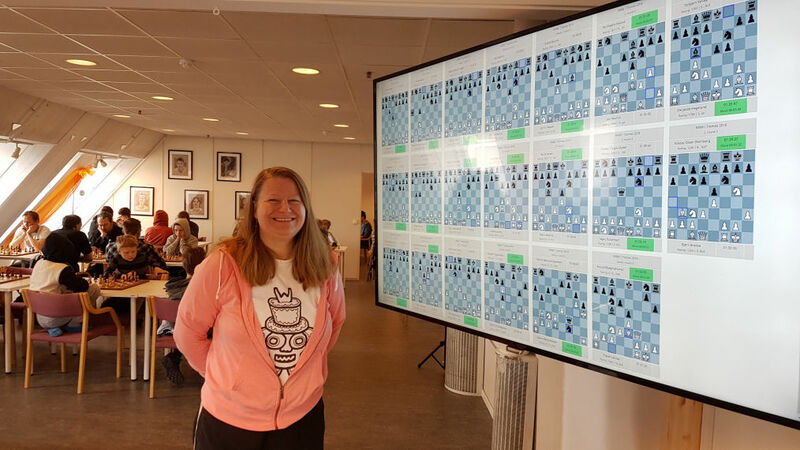 If selected in the admin panel, the games will be published live on Clono Chess Cast and can be viewed by family, friends and other. All games can be watched either on indivual pages or side by side. Clono Chess Cast is a multigame viewer suitable for use in the playing hall or in the cafeteria / spectators area. 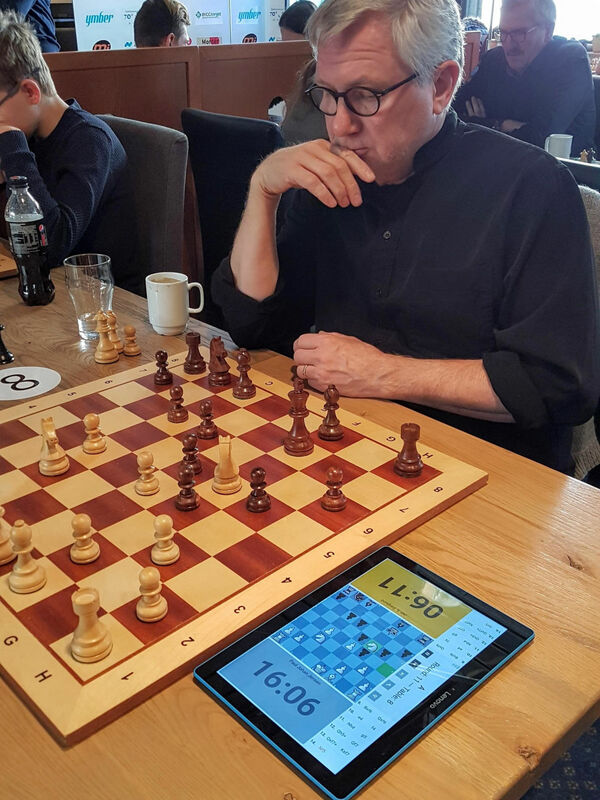 For the players the workflow is exactly the same as with regular chess clocks and paper-based scoresheets. Watch this short video to learn how Clono is for the players. Get started with live broadcast in 30 seconds ! For single games or smaller tournaments the fastest route to live broadcast is using Clono Quicklive. Everything is set up from the tablet and there is no need for server side configuration. Watch the video to see how easy it is, then try yourself. Do you want to know more? Send us a message.